A mobile web browser that lets you to do everything what you want on the web. It is one of the fastest web browsers always on Android devices. With Opera Mini you can search for everything on the web very easily and quickly. The app is very small in size and uses less storage of your phones space to install. By using it you can browse the web in multi tabs. Use your favorite social sites like, Facebook, Twitter, and much more right on Opera Mini. Moreover, see new stories on the homepage of Opera Mini. With this app you can download your favorite pictures, songs, docs, videos and much more. It allows you to download multi files as well as pause and resume your downloads. Moreover, it will automatically notify you when downloads are complete. 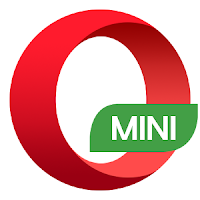 Opera Mini allows users to save web pages, if someone wants to read offline. It saves your data upto 90% and also saves lots of your Mbs. It is working in all networks. Now you can read pages more comfortably on the night by using its night mode feature. You have to just click on the night to enable it. You can adjust the brightness of your browser. The new and very interesting feature of it is that you can browse the web pages without annoying ads with its Adblock feature. No ads will shown on pages when you enable Adblock. Opera Mini is fully free to download and support on all Android devices. So download it updated version on your smart phone or tablet and browse the web fast. If you wish to install the app directly from Google Play, follow the provided link.